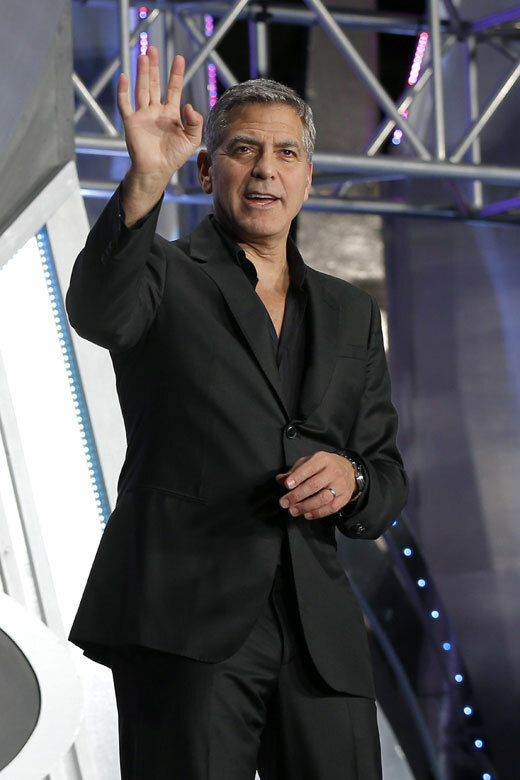 George Timothy Clooney is an American actor, screenwriter, producer, director, and activist. He has received three Golden Globe Awards for his work as an actor and two Academy Awards, one for acting and the other for producing. Some of his most famous movies are: Batman & Robin, Three Kings, Ocean's Twelve, Gravity, Tomorrowland and the series ER. 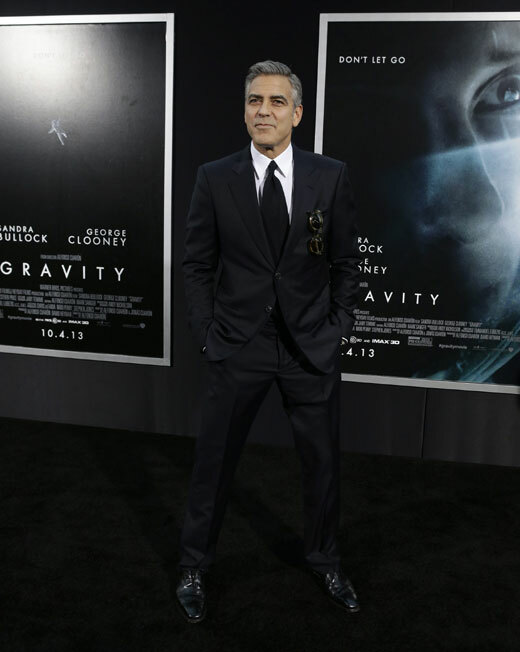 George Clooney during the premiere of `Tomorrowland` in Tokyo Japan 2015: he chose a stylish dark suit. 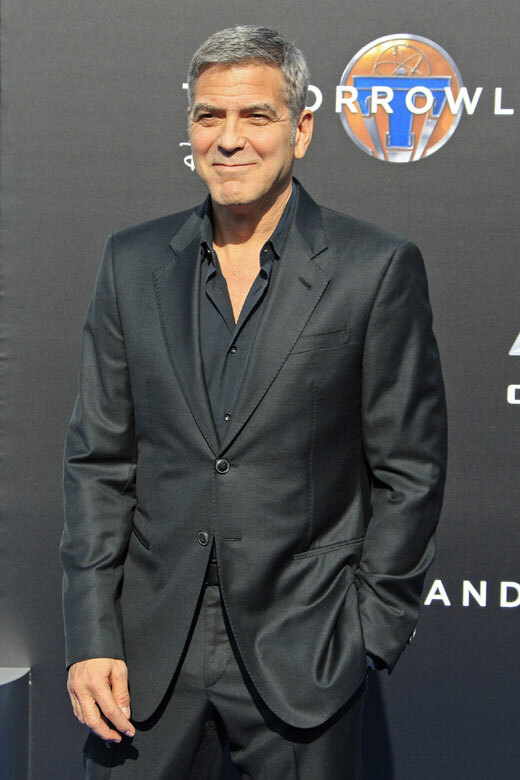 George Clooney for the world premiere of Disney`s `Tomorrowland` at the AMC Downtown Disney 12 Theater in Anaheim, California: he chose a stylish grey suit combined with grey shirt. George Clooney and his wife Amal Clooney for the 2015 Anna Wintour Costume Center Gala held at the New York Metropolitan Museum of Art: dressed in a Giorgio Armani Made to Measure formal black tuxedo, comprised of a black wool and cashmere tailcoat. The actor's jacket featured silk grosgrain lapels and a wing-collared white formal shirt. 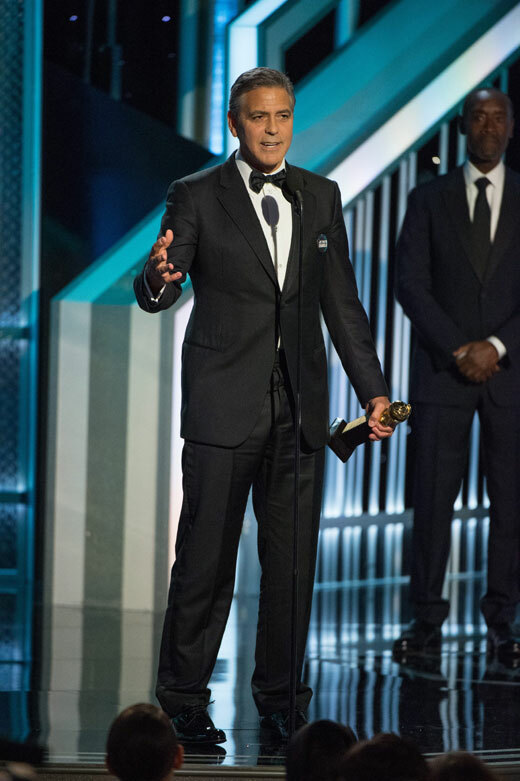 George Clooney accepts the Cecil B. DeMille Award for his 'outstanding contribution to the entertainment field' at the 72nd Annual Golden Globe Awards at the Beverly Hilton Hotel, 2015: he wore his wedding Giorgio Armani tuxedo. George Clooney during the premiere of `The Monuments Men` in Paris, France, 2014: looked his usual handsome self in a navy slim fit jacket, like a dandy. eorge Clooney arrives for the premiere of the movie `Gravity` at the AMC Lincoln Square Theater in New York, New York, USA, 2013: he wore a black two piece suit, combined with black tie and white shirt.